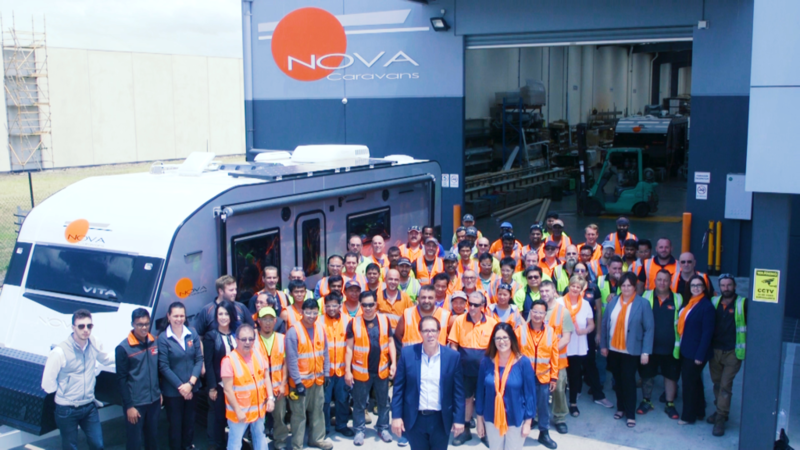 Nova Caravans, one of Australia’s leading caravan manufacturers, has seen significant productivity gains through the development of its workforce and the implementation of competitive systems and practices. Lean improvements introduced into the operation are expected to deliver a 40% increase in productivity. Nova Caravans is also the first company to be awarded Manufacturer of the Year by the Caravan Industry Association two years running. Nova Caravans is an industry leader in style and innovation. It was founded in 2006 by Robert Cataldo, whose dream was to create a brand of luxury touring caravans, with European style, that were also resilient for the tough Australian environment. At their production facility in Melbourne, Nova Caravans’ 80 strong workforce produces around 10 caravans per week. The manufacture of caravans requires a diverse range of skills from cabinet making, furnishing, plumbing, electrical fit-out and metal fabrication. The business has faced a number of challenges since it began operation including employee retention in a sector with many competitors and keeping up with technological changes. Currently, the biggest issues are sourcing materials and key components and managing the impact of social media. Robert Cataldo has a keen desire to grow his business and increase the skills of his workforce. Nova Caravans recently implemented a program using Lean methodologies to improve systems and processes. The program initially focused on the electrical fit out section of the caravan manufacturing process. It helped to develop more efficient processes and improve the health and safety of workers across the site. Examples of improvements include clearer component labelling and placement of materials and parts in trolleys or on pallets in the location where the work is undertaken. These improvements provide employees with easier access to the materials they need and has resulted in faster production times with a less cluttered and more organised site. 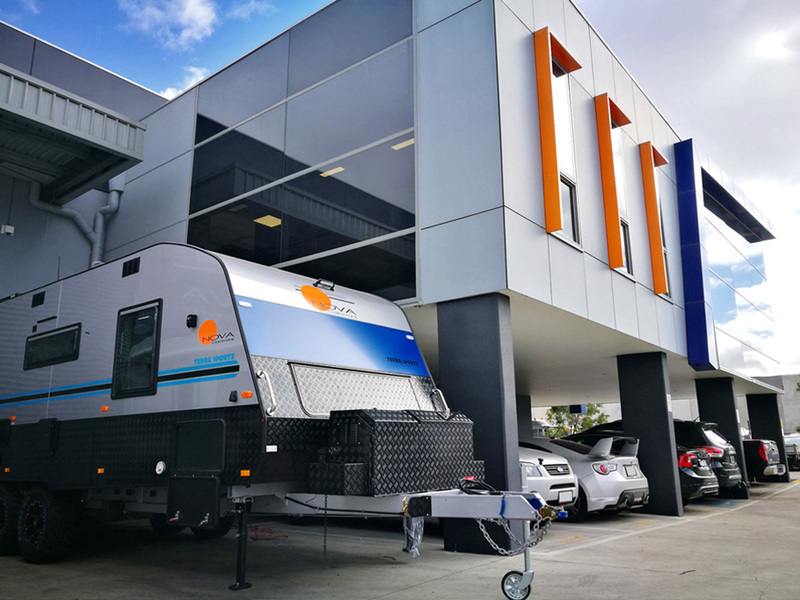 Nova Caravans has been selected as the first caravan manufacturer in Australia to implement a training program which considers the end-to-end caravan manufacturing process. The organisation was chosen by the Caravan Trades & Industries Association of Victoria to participate in the program managed by the Victorian Government. This training initiative is being carried out in partnership with Melbourne Polytechnic. The arrangement provides Nova Caravans’ employees with in-house training which is formally recognised, as well as the opportunity to complete additional training to achieve a Certificate III qualification. Other learners at Melbourne Polytechnic are also able to gain practical experience at the Nova Caravans production facility. The benefits to the business include creating multi-skilled teams and a better working environment. Over 70% of employees have put their hands up to be involved in the training program to learn new skills and gain a qualification. Nova Caravans was recognised by industry peers as the Manufacturer of the Year two years in a row. This is the first time a company has achieved this award back-to-back. They have also received recognition for other awards and were a finalist for Hume City Council’s Education and Workplace Learning award in 2017. Since they were established, Nova Caravans has stressed the importance of workplace training to its employees. The successful implementation of the Lean program in the electrical fit-out section enabled employees to complete their work more efficiently and increase output. The program is being extended across the production line to help deliver further increases in productivity. Having a multi-skilled workforce, with employees able to work across the manufacturing process, allows the organisation to innovate and adapt readily to any process change. The sector has seen a shift toward assembly of prefabricated components rather than building each component on site. Nova Caravans anticipates both the Lean program and skills recognition initiative will assist in increasing the number of standard model caravans manufactured by 40% per week.